Joey, What a wonderful recipe idea! Thanks for your recipe. , and your comment. Love this one . pinched. Rose Mary.....Such a sweet comment ! how sweet of you to include my Tootsie Pop Valentine's. Thank you! Hi Ma, I just found out that you included some of my recipes in your latest created cookbook. 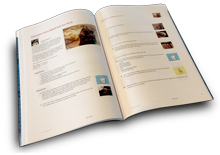 It is nice to have my recipes included among some of the best cooks in the universe. Thank you so much. Thanks so much also for the honor, and it really is a great book to have for future references for that special sweetheart. To make something extra special. You are still going strong and I admire that. Been under the weather but some what better now. Have a wonderful day and thanks again.